Free up space in the car for easier traveling and more enjoyable adventures! 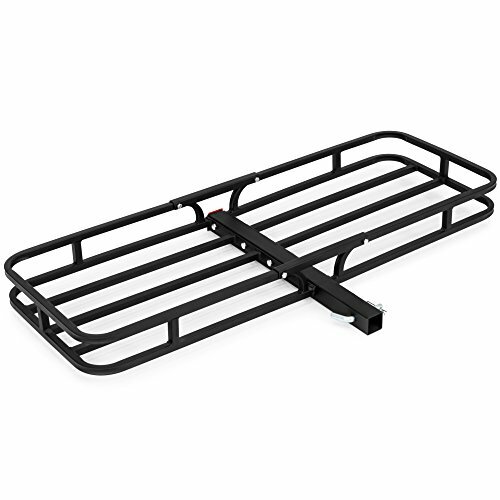 This cargo basket easily attaches to the back of a car to securely haul your belongings. Store bulky items like camping equipment, skis, or coolers so they won't take up precious space. Enjoy a comfortable and spacious ride to your next camping expedition or road trip! Overall Dimensions: 53"(L) x 27.5"(W) x 4.5"(H); Weight Capacity: 500 lbs.